Another forest, another country. The last weeks saw me now living and working full time in my new/old house in Abruzzo, mountainous region in Central Italy, dealing with renovation works while trying to catch up with old friends and the beloved wild places of my childhood. 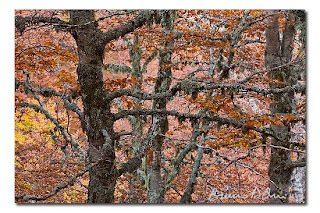 Doing research and scouting areas for new images, I was very excited to find out that some 50 km from my place, in almost unknown valley of a nearby National Park, scientists recently found what turned out to be the oldest beech forest of Europe. Protected by the surrounding mountains and the steep nature of the place, and due to a particular microclimate, some trees managed to grow here for more than 500 years! 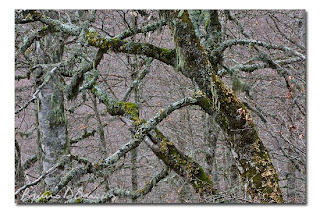 Besides the the wild and obvious appeal of the place, with trees literally covered by lichens and mosses and the feeling of being in a sacred place, I still have to get an image which could reflect the mood and essence of it. The picture(s) I have chosen for this month POTM represent two humble attempts to portray this incredible forest. More to come. Another forest, another country, another continent. By the end of the month I will be „on assignment“ (first time!) in SW Ethiopia to photograph an highly endangered mountain rainforest ecosystem, where still grow wild specimens of Coffee, thrive monkeys and hunt leopards. I will be back home before Christmas and hopefully with many new images and stories to post. pure con la mail hai litigato? avvertimi quando sei in Italiaaaaa!! !